The epitome of Western Australian coastal design, this home is fantastically suited to its beachside location. 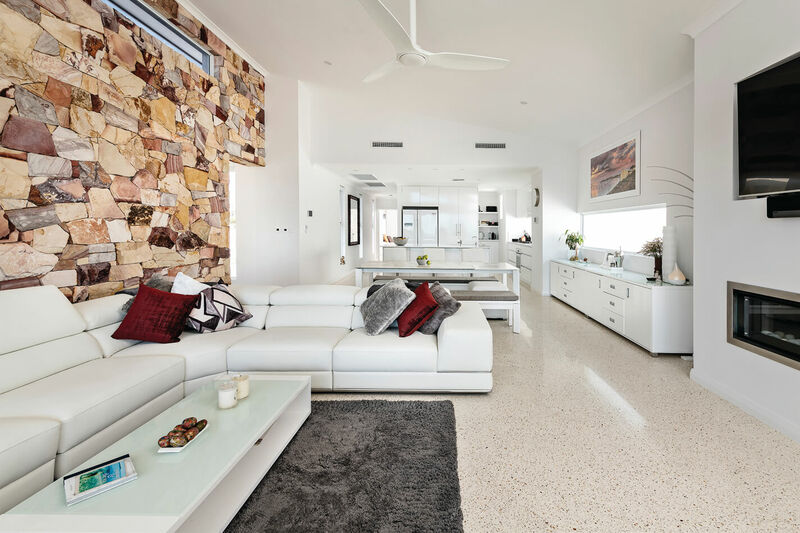 White polished concrete floors appear throughout to complete the predominantly white colour scheme, creating a crisp, clean interior that is beautifully offset by the desert tones of the Kimberley stone. 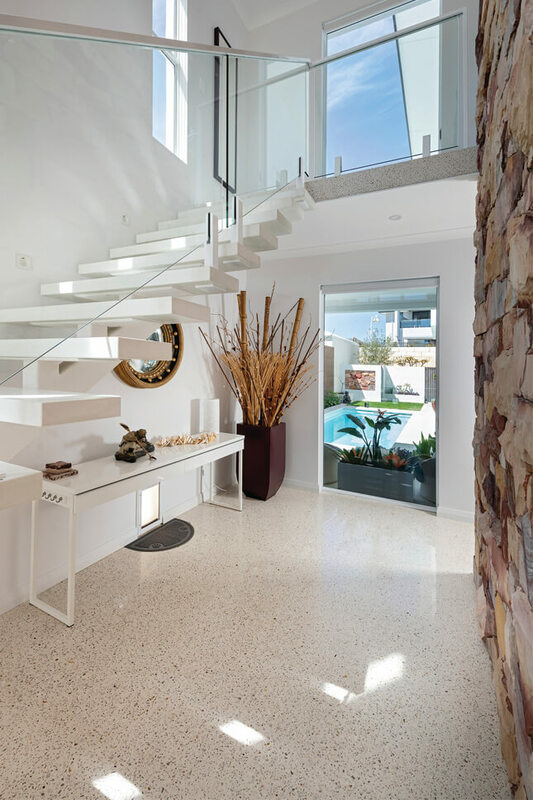 An open, airy void with a floating staircase has become a signature feature of a Coast Homes design and the picture window here only adds to the effect. 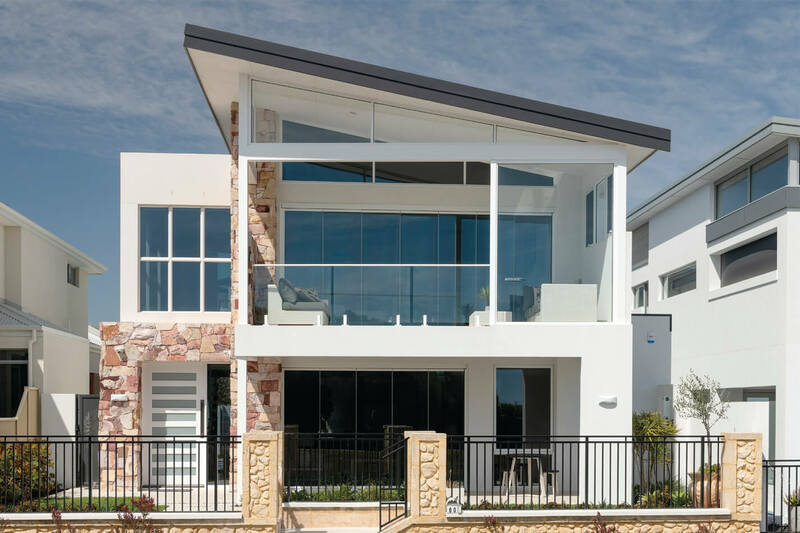 With such stunning views on offer, frameless bi-fold windows were selected to create a seamless outlook over the ocean, while the modern skillion roof creates that extra bit of window space. 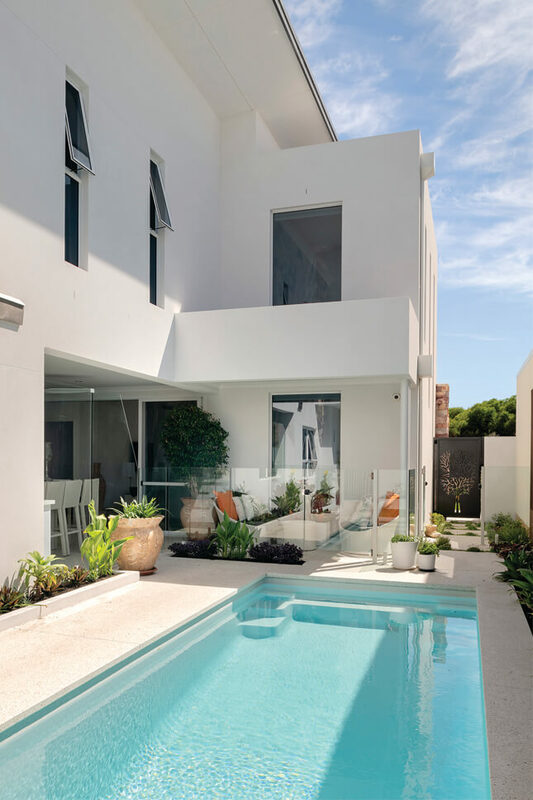 A layout with a twist, this residence is an ‘upside down’ design, with the kitchen, dining and living areas situated on the second storey to take advantage of the spectacular ocean views. 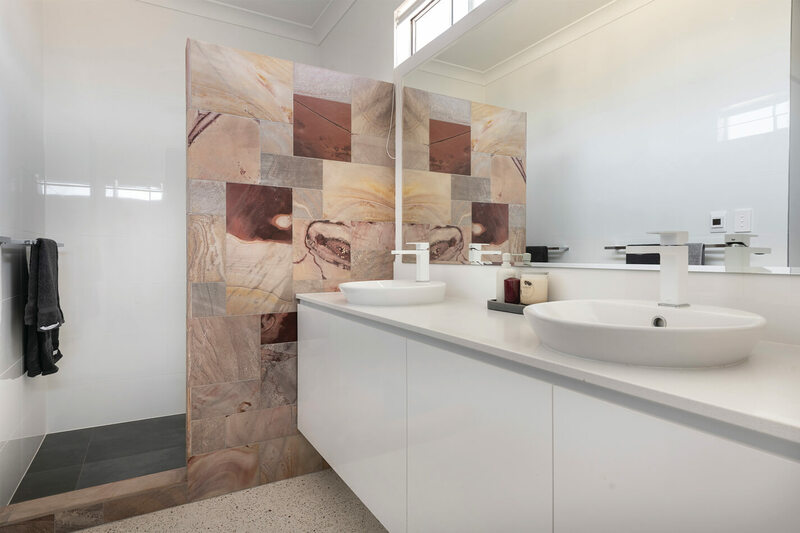 As one of the standout elements in this home, the Kimberley stone is carried through into the bathroom, adding warmth and texture to the minimalist modern design. When the sea breeze is blowing, this secondary outdoor entertainment space ensures the fun can continue in a more sheltered environment.